Green food was inhaled. Many a Guinness were drunk. Kids were busy pinching and playing. We had frosty mugs, four-leaf clovers, and plenty of merriment. Laughter was loud. Good times were had. And now, it’s the morning after…fine, ok, it’s actually close to noon, but whatever–don’t judge. Sleepy and hungry, I slowly stammer into the kitchen. I could eat everything. That bag of chocolate chips ain’t lookin too bad. Do we have salsa…gimme a spoon. No, no, I can come up with something. Aha…potatoes! I’ve got loads of potatoes. After all, that was one of the “themed” dishes from the night before. Oh man, I could go for some eggs, too. 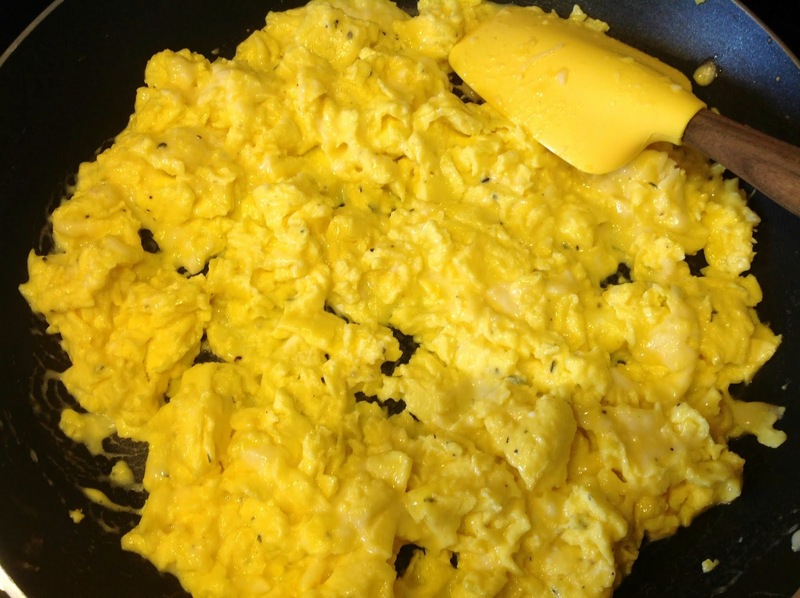 Scrambled. With cheese. Yes. 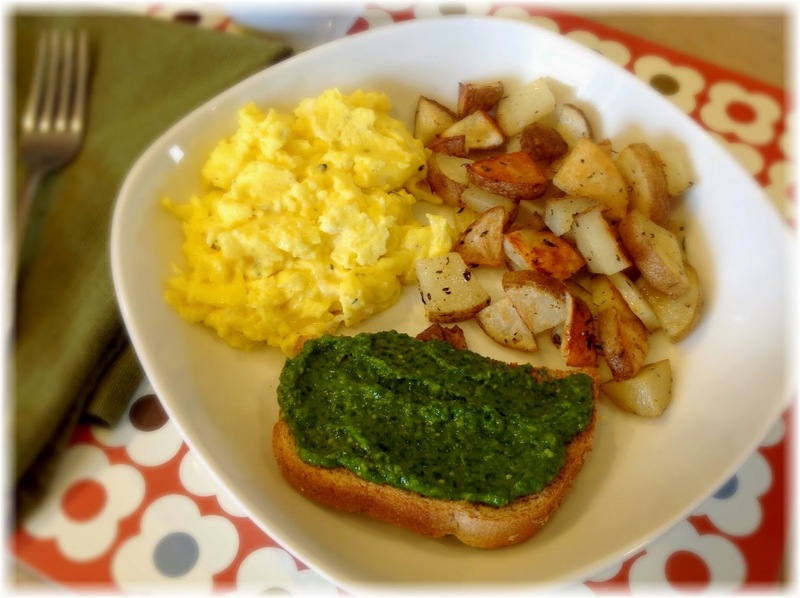 And so it began…the morning-after-St.-Patty’s-Day-party-breakfast-at-noon-meal: herb roasted potatoes, cheesy scrambled eggs, and leftover greenest of greens dip on toast. Comfort. Preheat oven to 450°. 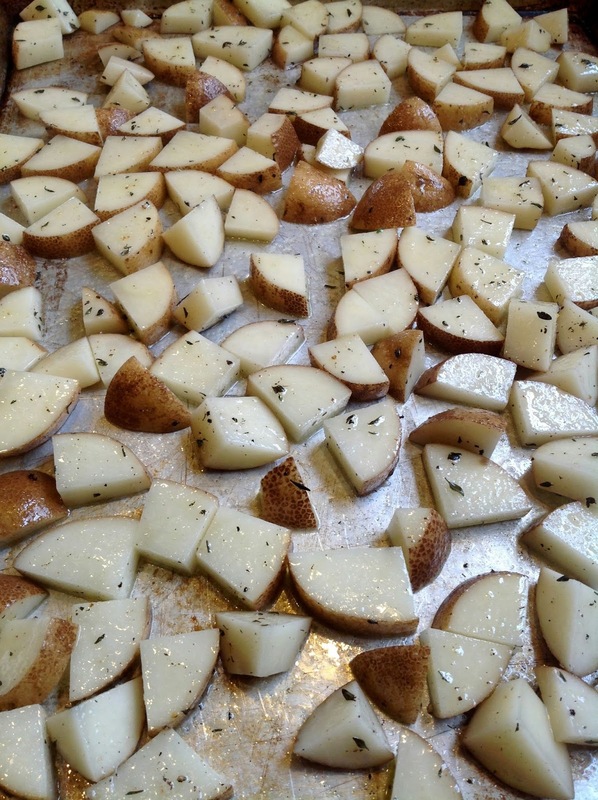 Place potatoes on a large rimmed baking sheet and toss with olive oil, thyme, salt and pepper. Roast for 20 minutes, or until desired crispiness, flipping potatoes half-way through. Heat butter on medium-high heat in a large skillet. 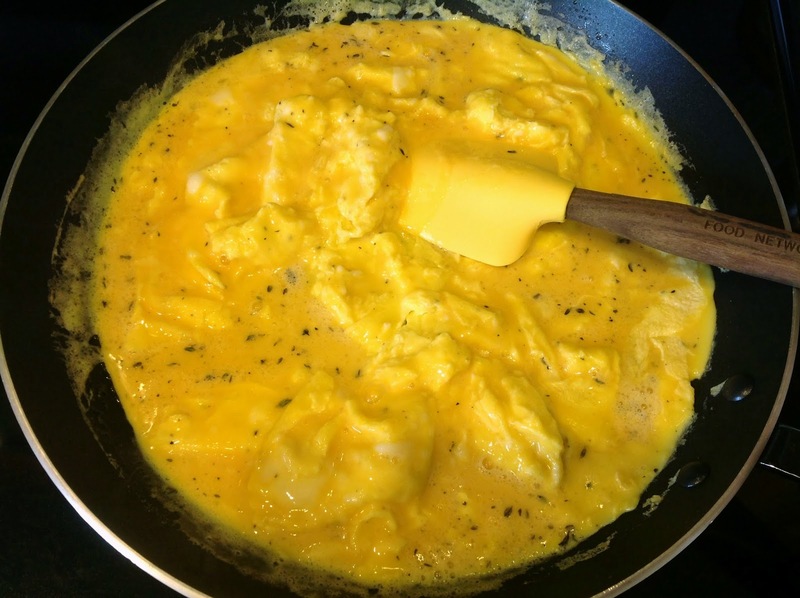 Whisk together eggs, half-and-half, thyme, a couple pinches of salt and several grinds of pepper (to taste), then pour into the pan and cook for two minutes, stirring continually with a rubber spatula. Turn the heat down to low once you see a clear trail where the spatula was, and cook for another 1 – 2 minutes, slowly stirring. 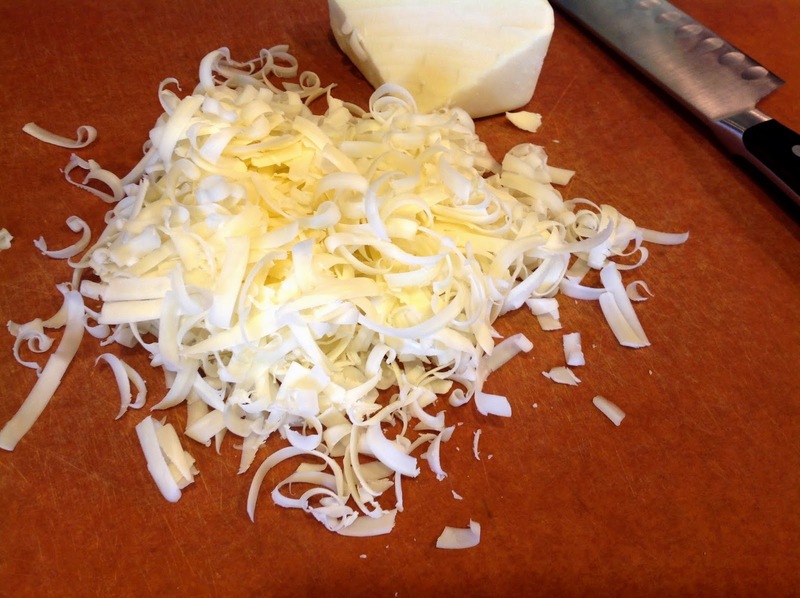 Add the cheese and cook until melted and incorporated. 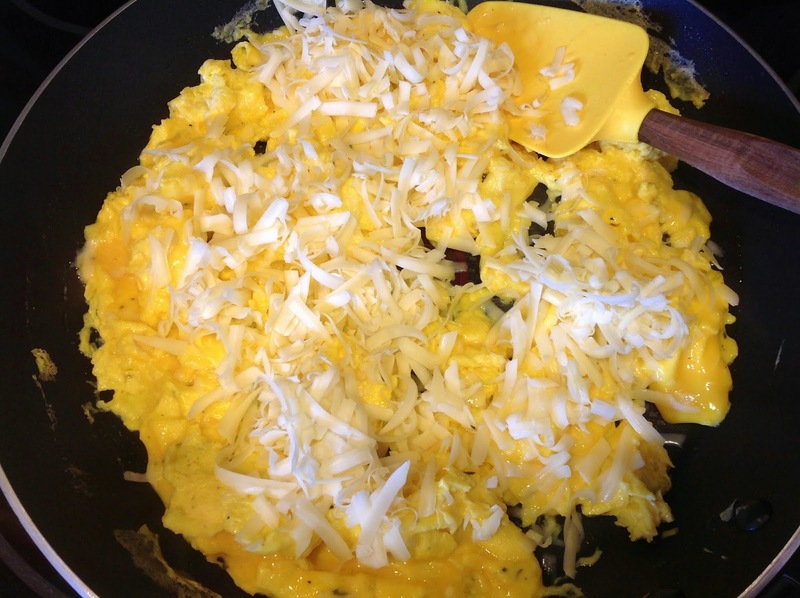 Eggs will be very creamy, but cooked through. Serve with potatoes and toast. Enjoy!